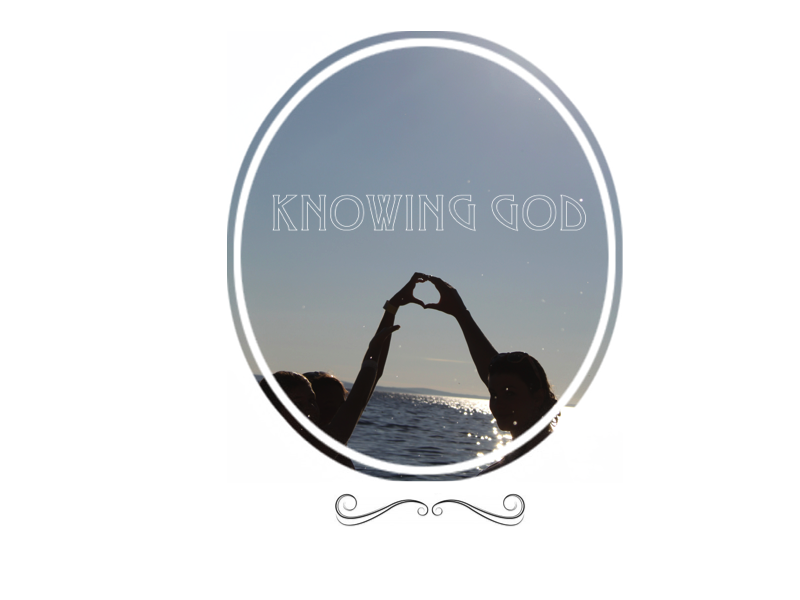 Knowing God: Christianity: just about rules? Jesus: "I have made You known to them and will continue to make you known in order that the love you have for me may be in them and that I myself may be in them." I get so fed up and sad when people say things like ‘oh be a good Christian’ or ‘Christianity’s about doing good, and then you’ll get to heaven.’ That line in one carol really grates with me: 'good christian children be.' I get fed up because it’s a preconception so many people have, even the media buys into it. It’s not wrong for people to have the impression that Christians desire to do good and righteous things for God, but nine times out of ten people will miss the message because of it. People miss the true meaning of Christianity, they miss the good news! Someone once told me a really helpful phrase that’s stuck with me. Christianity is news not advice. We’re not telling people how to live their lives; we’re merely awakening them to an awareness of the greatest thing that’s ever happened. It’s up to them to respond or not. It is so wonderful and so great that it just flows out of us! We have to share it! It would be obscene for us to keep it to ourselves, completely counter the faith that we’re trying to follow. People see a bunch of rules and think that Christianity is about trying to keep them. Not true! There’s the 10 commandments, lots of ceremonial rules in Leviticus and there’s even rules in the New Testament: ‘do not get drunk on wine which leads to debauchery…’ (Ephesians 5 v 18). But it’s about asking the questions and thinking there’s got to be reasons for these rules, it’s about, as is so much of Christianity, digging deeper. If Christianity was truly a religion about following rules it would have died out years ago. Why has it been going for roughly 2000 years, why are there so many churches? Why does everyone know about it? Because it’s about what’s behind the rules. People look at them and take them at face value. They forget to ask the questions. Why are the rules there? Why should I follow them? Who put them there? What’s this person like? If you seek to answer just one of those questions, God will come running towards you, you’ll hit him like an oncoming train and he’ll send you flying! Because I’ll tell you what Christianity’s really about: relationship. God has been beckoning us to him since the moment our hearts turned away from him. The rules in the Old Testament was God’s way of pulling his people back to him, people had to make the choice to follow those rules which lead to God. And in the New Testament when Jesus’ death obliterated the need for these rules we have to make the same choice to believe that Jesus has made a way back to our Father through his blood. And it is for the sake of this same relationship that we choose to follow the New Testament ‘rules’: we want to. We want to do whatever we can to be in a close relationship with our Father. For us now, us new-covenant followers, it can be tempting to brush over the Old Testament rules and think, ‘well Jesus has got rid of the need for those old rules.’ But if we do that we will be just as bad as the non-believers who look at Christianity and dismiss it as legalistic. We need to go deeper. We can’t fall prey to the same trap. The Old Testament rules reveal something about God which we would struggle to grasp otherwise: his holiness. Our sin separated us so far from God that his own son had to die. It must have been a flipping big gap mustn’t it? If God had to bring us back into relationship with him through the death of his son, then our relationship with him must mean more than we can grasp. And the rules in the Old Testament, the sacrificial system, the cleansing rules etc…all serve to highlight how big this gap is and therefore how much he loves us! It goes into so much detail about what people can and cannot do because God is holy. He cannot tolerate any sin! We can look at those rules and think WOW God's being a little bit picky, or, we could flip it round and say: WOW God loves me that much! I look at them now, all the regulations in Numbers and Leviticus and my first thoughts are: ‘how ridiculous!’ I personally am grateful for my position in time as a New Testament believer because I don’t have to be so careful with what I eat or what I wear or what I touch… “If an animal that you are allowed to eat dies, anyone who touches the carcass will be unclean till evening.” (Leviticus 11 v 39) But when I think like that I have to stop myself. I’m the one being ridiculous. God hasn’t changed, God never changes. His rules did, but his holiness is just the same. The detail of Gods laws symbolize how important God’s holiness is, it’s ten billion times more important than our practicality or comfort. He’s worth it! And so much more! I need to act just as reverently in my own life, but this reverence has to come from my heart, it's an attitude not actions that God wants. As purely New Testament readers we wouldn’t realize the gravity of our sin, and in doing so, we would cheapen Gods grace. If we don’t realize how serious our sin is, then we don’t realize how great God’s mercy is, how valuable his sacrifice, how completely undeserved his grace was! We cheapen it. How dare we?! To sum up, God doesn’t want followers who stick to rules just for the sake of the rules. That would be robotic and selfish. That would be missing the point. God wants children who realize who He is and realize that they desperately want to be with him. He is more concerned with the state of the human heart. David realizes this in Psalm 51: ‘You do not delight in sacrifice, or I would bring it; you do not take pleasure in burnt offerings. The sacrifices of God are a broken spirit; a broken and contrite heart.’ (v 17). The God of rules, the God of both the Old Testament and the New is truly a God of love and relationship.